Takeaway: The quality of lighting in a workplace can have a significant effect on productivity and good lighting ergonomic design can assist workers in being more productive. When individuals hear the term ergonomics, the first thing that often comes to their minds are desks and chairs (Learn more in 10 Important Ergonomic Aids for Office Workers). Ergonomic lighting is often overlooked and it is not uncommon to see an employee working in harsh fluorescent lighting, or in a room that is dimly lit. In fact, various studies suggest that an ergonomically lit workplace improves productivity; while at the same time reduces errors. For instance, according to the International Labour Organisation, proper lighting ergonomics can increase productivity by up to ten percent, as well as reduce errors by approximately thirty percent. Additionally, improvements in lighting do not necessarily mean installing more light. Instead it entails finding the optimum way to position light source, as well as use natural light. Lighting ergonomics focuses on the relationship between the light source and the employee. Therefore, it is aimed at designing and arranging light sources so that employees can work and interact in the safest and most efficient manner. The level of light is measured in LUX—the unit of illuminance and luminous emittance—using a light meter. Why is lighting in the workplace important? A poorly lit work environment increases employees’ risk of eye-strain, fatigue, headaches, stress, and accidents. However, too much light can also negatively impact on the health and safety of employees, causing glare headaches and stress. Both of these scenarios can lead to low productivity, high error rates, poor work quality, as well as a marked reduction in mental alertness. What are the different sources of light? There are two main sources of light. These are natural light, or daylight, and electrical lighting. Daylight: Natural lighting is most desirable in work environments. The amount of natural light entering a workplace depends on the architecture of the building (position of windows), local terrain, direction of the sunlight, facility location, and time of year. The amount of daylight entering the workplace can be easily controlled using tinted windows or blinds. Electrical lighting: In workplace where daylight is limited, it is essential to have an electric lighting system. Electric lighting is provided by bulbs and the amount of light and the color of the light itself vary with the type of bulb being used. For example, fluorescent bulbs produce light that is on a much different color spectrum than incandescent bulbs. How much light is need in the work environment? How to test for insufficient lighting problems in the workplace? Here are some measures to improve lighting ergonomics in the workplace. Poor lighting can not only be a safety hazard, it can also affect the quality of work, especially in job tasks where precision is required. Additionally, poor light can affect the motivation and efficiency of employees. 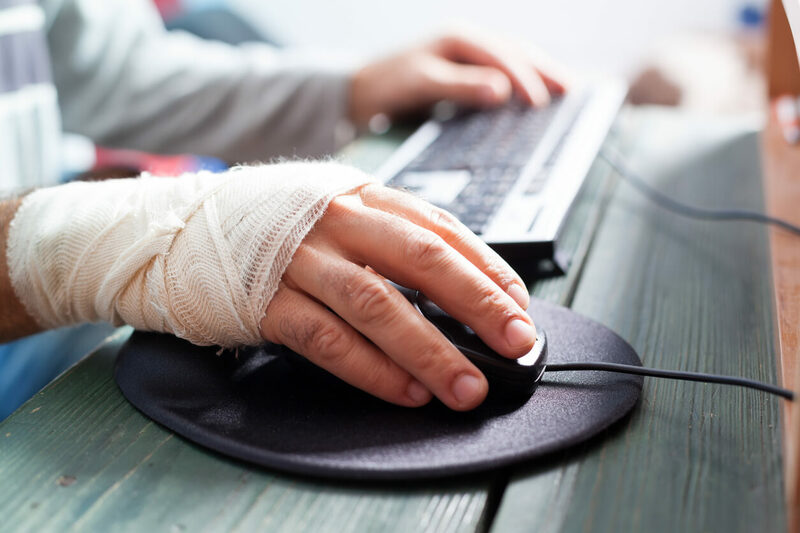 Furthermore, overlooking lighting ergonomics can represent a significant cost to an organization in the form of time off from work because of incidents or accidents, and increased absenteeism. Thus, employers have a duty to ensure that lighting is safe and does not pose a health risk to employees. Remember, good lighting in the workplace promotes a brighter, cleaner workplace resulting in a more active, cheerful environment—and employees.